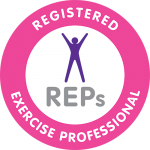 My holistic approach to personal training is unique and draws from my own training in different disciplines. It focuses on integrating the principles of Rolfing and Pilates with an awareness of the body’s energy systems, healthy nutrition, and reeducation of the nervous system to transform your body. “For five years already I have had the privilege of having Jaro as mentor of my fitness, effectively helping me to broaden my fitness, release tensions and recover from sports injuries. 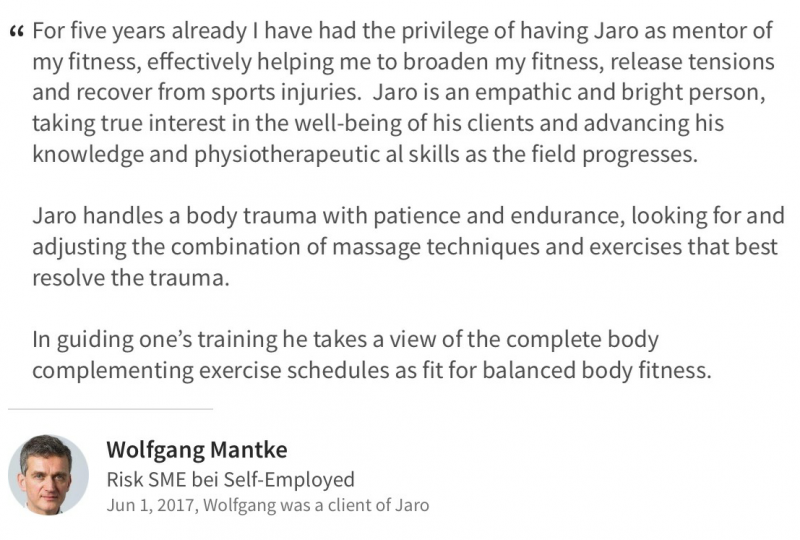 Jaro is an empathic and bright person, taking true interest in the well-being of his clients and advancing his knowledge and physiotherapeutic al skills as the field progresses. Jaro handles a body trauma with patience and endurance, looking for and adjusting the combination of massage techniques and exercises that best resolve the trauma.